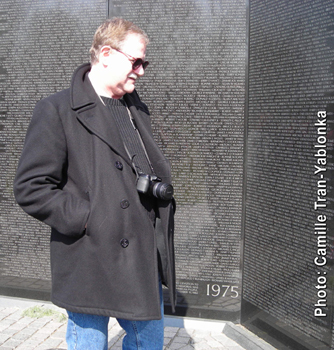 Marc Yablonka is a military journalist whose reportage has appeared in the U.S. Military's Stars and Stripes, Army Times, Air Force Times, American Veteran, Vietnam magazine, Airways, Military Heritage, Soldier of Fortune and many other publications. Between 2001 and 2008, Marc served as a Public Affairs Officer, CWO-2, with the 40th Infantry Division Support Brigade and Installation Support Group, California State Military Reserve, Joint Forces Training Base, Los Alamitos, California. During that time, he wrote articles and took photographs in support of Soldiers who were mobilizing for and demobilizing from Operation Iraqi Freedom and Operation Enduring Freedom. His work was published in Soldiers, official magazine of the United States Army, Grizzly, magazine of the California National Guard, the Blade, magazine of the 63rd Regional Readiness Command-U.S. Army Reserves, Hawaii Army Weekly, and Army Magazine, magazine of the Association of the U.S. Army. Marc's decorations include the California National Guard Medal of Merit, California National Guard Service Ribbon, and California National Guard Commendation Medal w/ Oak Leaf. He also served two tours of duty with the Sar El Unit of the Israeli Defense Forces and holds the Master's of Professional Writing degree earned from the University of Southern California. Distant War: Recollections of Vietnam, Laos and Cambodia is Marc's first book.